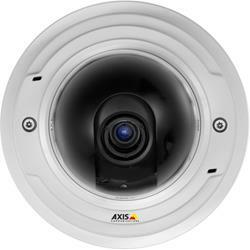 AXIS P33 Network Cameras constitute a series of indoor and outdoor-ready fixed domes. These cameras are ideal for unobtrusive video surveillance, day and night, in exposed areas such as airports, subways, retail stores, bank buildings, schools and university campuses. This document covers the indoor models of AXIS P33 Series.